Receptor tyrosine-protein kinase erbB-3, Glial growth factor receptor, Proto-oncogene-like protein c-ErbB-3. General Description of Recombinant Mouse ErbB3. ErbB3 produced in Sf9 Baculovirus cells is a single, glycosylated polypeptide chain containing 630 amino acids (20-641. a. ) and having a molecular mass of 69.5kDa (Molecular size on SDS-PAGE will appear at approximately 70-100kDa). ErbB3 is expressed with an 8 amino acid His tag at C-Terminus and purified by using an optimized multi-step FPLC method for maximum separation from contaminants. Host: QP11804 protein expressed in Insect. Application Notes: Please contact us for application specific information for QP11804. 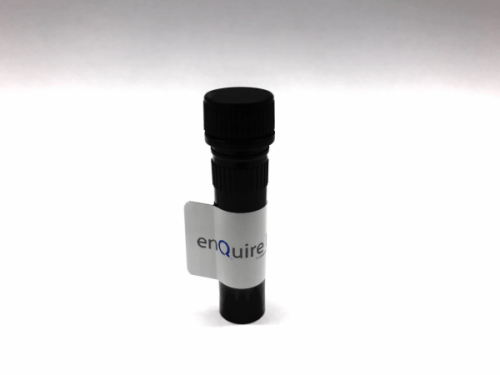 Buffer: ErbB3 protein solution (0.5 mg/ml) contains Phosphate Buffered Saline (pH 7.4) and 10% glycerol.